The Concept Dresser from the Concept collection by Vox has specially selected finishes tailored to complement a contemporary environment. Delivery expected within 10 to 22 days. 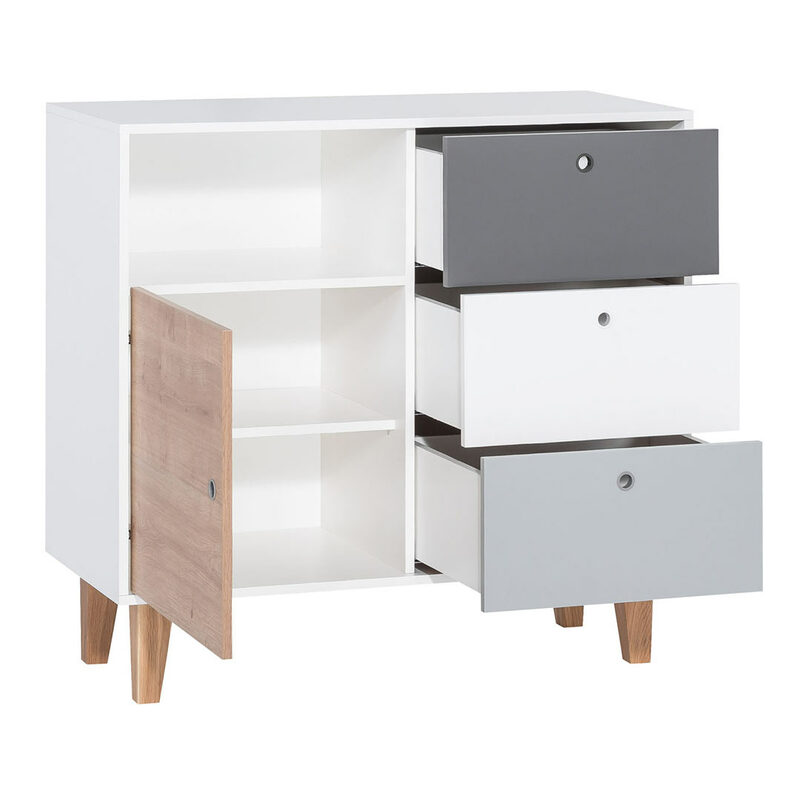 Perfect for teenagers and kids rooms, this Concept Dresser features durable materials and sturdy construction. The white frame contains three large drawers, an open shelf and one cabinet leading to two more spacious shelves. 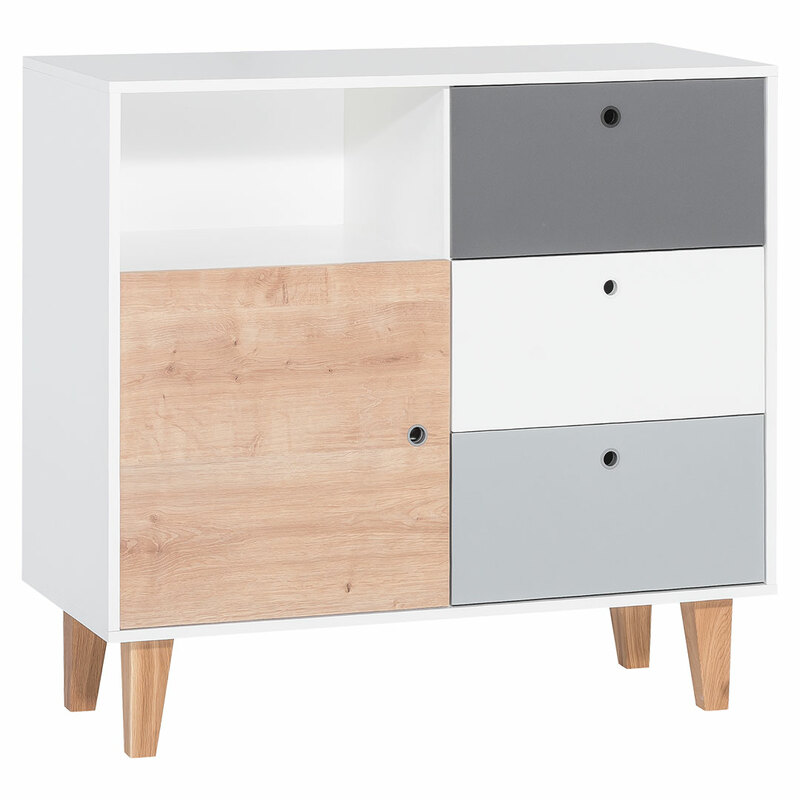 The drawers and door (in White, Grey, Graphite and Oak) open easily with the silicon tube finger holes blending into the colour fronts. The oak legs lifted above the ground allows easy cleaning underneath, while the surfaces of laminated wood are resistant to damage and damp and also easy to clean. 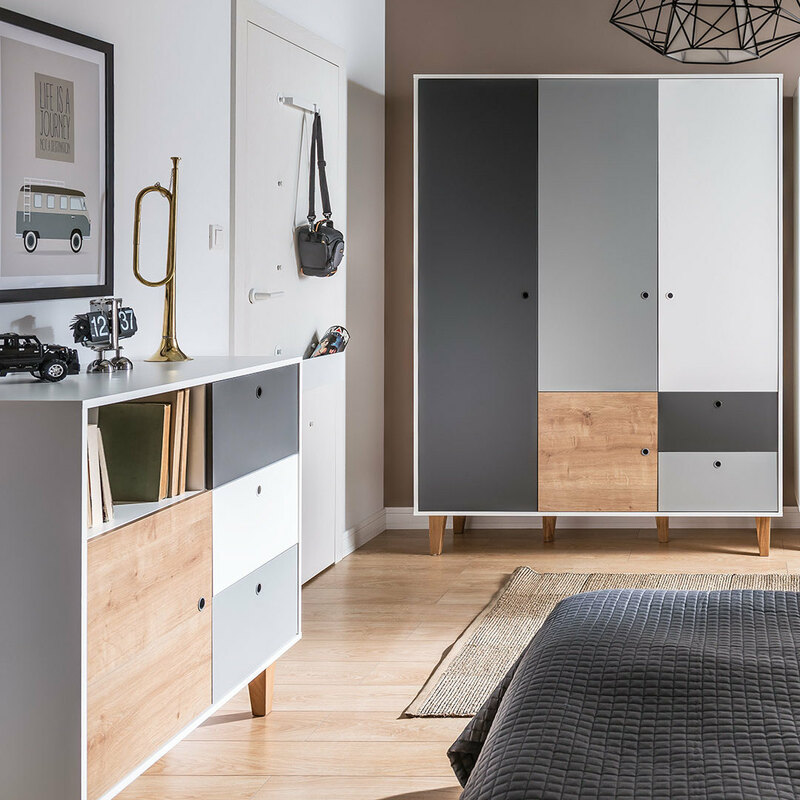 The Concept Dresser’s height of 96.5cm makes it an ideal modern chest of drawers to neatly store clothes, toys and books. Furniture from the Concept collection by Vox is made of laminated chipboard with a thickness of 16mm. The chipboard is characterized by very low formaldehyde emissions and falls into the E1 hygiene class. 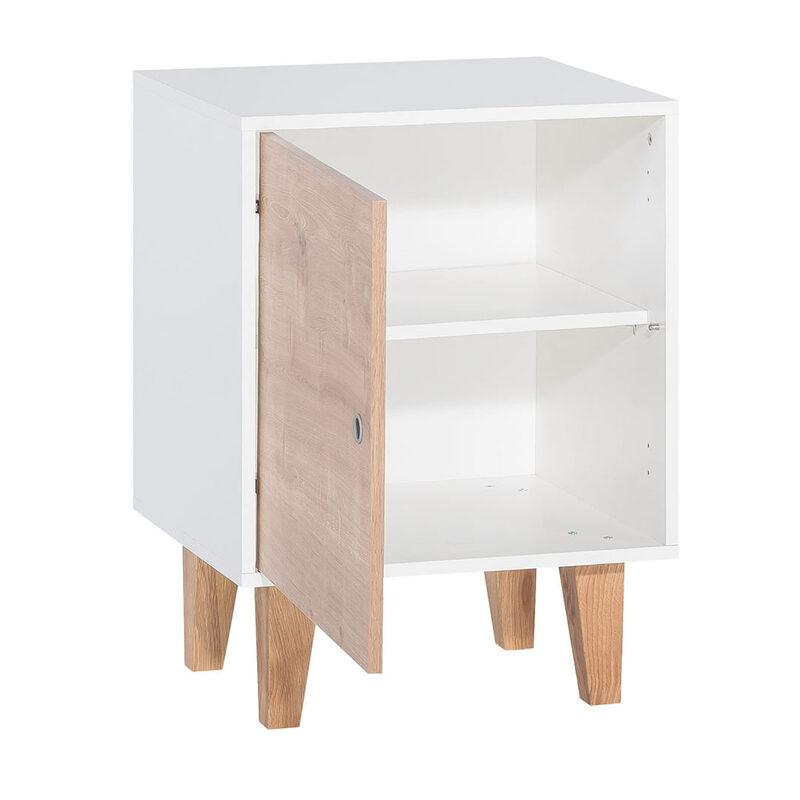 The rear walls of the furniture are made of 2.5mm thick HDF board in the colour of the body. All visible edges of the boards are covered with an edge strip made of ABS plastic with a thickness 0,8, or 2mm. The high-quality appearance of the furniture is increased by covering the edges on the back of furniture with 0,3mm thick paper. A big advantage of the Concept collection is legs made of solid oak wood, strengthened by lacquers. This product is exclusively sold by Clever Little Monkey and you will not find it anywhere else.